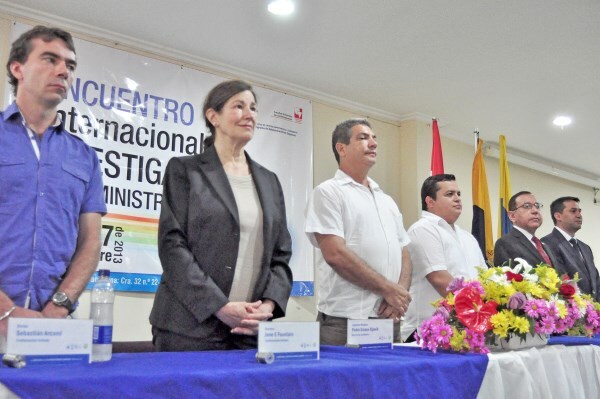 Jane Fountain gave a keynote address, “Disjointed Innovation: Prospects for Digital Governance,” at the Encuentro Internacional de Investigadores en Administración 2013 held in Santa Marta, Colombia on November 26 and 27, 2013. The conference was organized by the Facultad de Administración de Empresas de la Universidad Externado de Colombia y la Universidad del Valle. The conference site was organized by the University Magdalena, Santa Marta. Professor Fountain also conducted a one-day executive education workshop on public management and innovation for faculty from throughout Colombia held at the University of Magdalena. This entry was posted in Events and tagged innovation, international, Jane Fountain on December 10, 2013 by ncdg.